I believe that we should look after the Earth, it is the only planet we have! I have an environmental ethos that I use to help me run my business in as environmentally and sustainable way possible. I try to safeguard our environment within my business. I am not always able to do as much as I want to, however I try. These are some of the things that I am working on. Most of the resources I use are either natural or have had a past lives being gifted to me or coming from charity shops and car boot sales. The projector (thanks to the Wild Bunch) and screen (thanks Wigtown) that I use for talks were gifted to me. For stargazing I have rechargeable head torches for stargazers to use rather than one use batteries. I have real cellophane which is a made from cellulose can be used to make other people's torches red too. 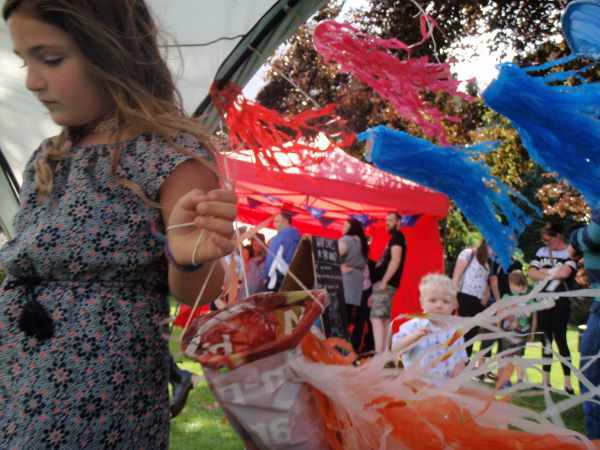 Many of my activities and experiences involve recycling or upcycling materials and I encourage people to reuse materials. 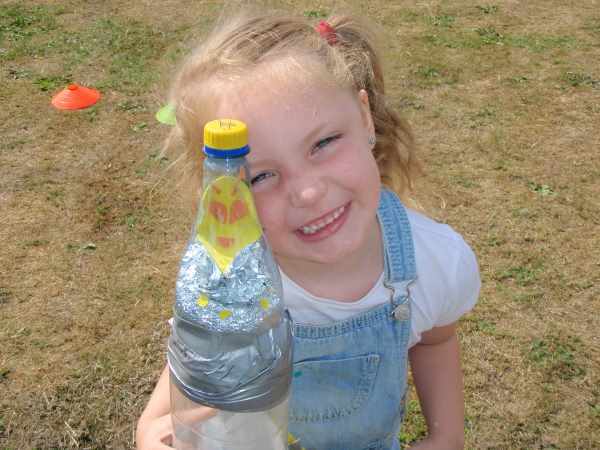 I recycle plastic bottles for all kinds of things, making rockets, noise makers and even moulds for bird feeders. Plastic bags make great kites and windsocs too. I reuse things rather than throw them out, even the small off cuts of foam sheet that I use for my rocket lab are used to make boats and rafts for my water lab. String and wool finds its way back into my boxes and bags to be used again. My business is located in the Galloway and Southern Ayrshire UNESCO Biosphere which has been recognised internationally as a world class environment for people and nature. Our Biosphere is special because of its combination of special wildlife areas, superb natural environment and rich cultural heritage. The Biosphere has the Galloway Hills at its core and a rich and diverse landscape, rivers and lochs and a fabulous rugged coastline. My business is proud to be a supporter of the Biosphere. 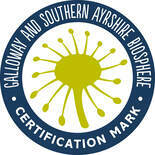 The Biosphere Certification Mark is very special to me as it was awarded to my business Freelance Ranger in recognition of high-quality standards in delivering environmental and sustainable development benefits to the Galloway and Southern Ayrshire UNESCO Biosphere. It means that I set and maintain high environmental standards within all that I do. ​I have signed up to the Galloway and Southern Ayrshire Biosphere Charter. I have committed to looking after the Biosphere and have extended this to other places that I work. I help to conserve the natural heritage by helping people to learn more about and appreciate their environment. I lead by example making sure that any activities I lead are low impact. I support other businesses within the Biosphere and within Dumfries and Galloway by using local services and businesses when I can. I offer quality experiences at lower prices to community groups which benefit those that are disadvantaged or where there is a health benefit. I share my knowledge, enthusiasm and encourage others to learn from and enjoy their environment. I have been trained in Leaving no Trace Principles and try to lead by example where starting fires and making shelters and dens. I reduce the impact the I have when out with groups by using well known areas and being considerate to other users of the areas. 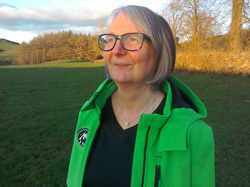 ​​I was really delighted to be a finalist in the Dumfries and Galloway Life Awards in the Environmental Champion category. Thanks to the people who nominated me.